For many of us living in places where it’s bound to snow, clearing that snow from our sidewalks and driveway is an inevitable task. For maximum efficiency, a snow blower might be your best bet. 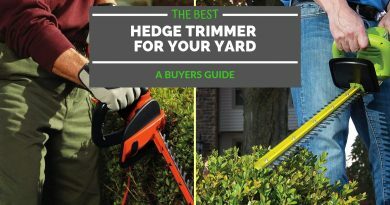 With many snow blowers being priced over $1000, it’s important for you to conduct careful research to find the best snow blower for you before making a purchase. To help you make this decision, we’ve put together this Snow Joe ION8024-XR review that discusses everything you need to know about it, and why we think this is one of the better options on the market today. When buying a snow blower, there are some things you want to consider before making a purchase. You want to make sure you get a snow blower that fits your individual needs. Let’s take a look at a few things you should consider. Electric snow blowers are capable of removing snow from most sidewalks or driveways. By contrast, gas snow blowers are often best used for bigger jobs because of the fact that they aren’t limited by access to an electrical outlet or relatively short battery life. Additionally, gas powered snow blowers allow for the option of three-stage models (discussed below). That being said, electric models do come with capabilities mostly equal to that of gas models for most jobs, and you can easily combat battery life issues you may experience by purchasing multiple batteries and chargers. The main difference between snow blower models is the number of stages. Single-stage snow blowers are meant for the simplest jobs. These models typically have a design where the motor spins an auger that scoops up the snow and immediately throw it out the chute. Since the auger is so close to the ground, you shouldn’t use these types of snow blowers on gravel or other surfaces that may contain small rocks. 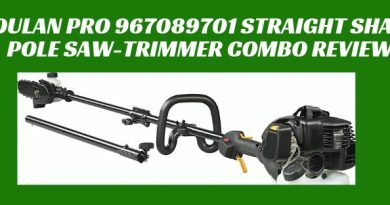 These snow blowers are often available in electric or gas powered options. Two-stage snow blowers have a lot more or an ability to handle tough snow than their single-stage counterparts. These models have a metal auger that scoops up snow and ice. After the snow is scooped up, an impeller throws the snow out of a chute in the second stage. The augers in two-stage blowers don’t touch the ground, so they’re safe for use on any surface. 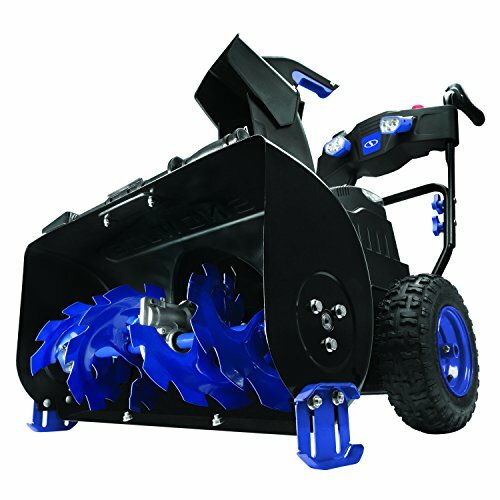 Two-stage snow blowers are available in electric or gas powered options. Three-stage snow blowers are one of the most powerful types of snow blowers available and are ideal for the toughest of jobs, and are mainly available as gas-powered models. First, two metal augers scoop up the snow and ice. Second, an accelerator chops it up. Finally, the snow is pushed through an impeller and launched out of the chute. 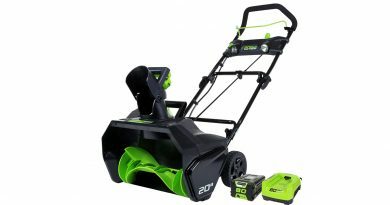 If you’re interested in a powerful electric, two-stage snow blower powered by rechargeable batteries, the Snow Joe ION 8024-XR might be what you’re looking for. The first thing you’ll notice about the Snow Joe ION8024-XR is that it’s a battery powered self-propelled, two-stage snow blower. Traditionally, two-stage snow blowers have only been available as gas-powered machines, but that’s not true anymore. 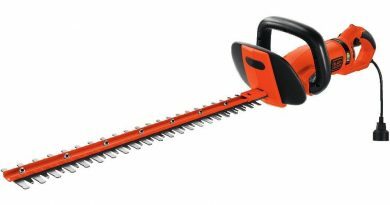 The advantage of having an electric snow blower powered by a rechargeable battery instead of a gas-powered one is that you can have the power of a two-stage system with all the efficiency, silence, and emission-free benefits of an electric one – all without a power chord. This is all made possible with 2500 watts of power that’s supplied by an 80v motor. This motor is connected to two 40v 5AH EcoSharp rechargeable lithium-ion batteries, which means you won’t lose power as the battery discharge. With the Snow Joe ION8024-XR’s load sensing technology, you’ll be able to get 30 minutes of run time on a full battery. Once the battery runs out, just plug it in to charge them. If you need more than 30 minutes worth of working time, you can purchase more batteries and chargers to switch between as needed. The Snow Joe ION8024-XR features an integrated, easy to understand push-button display with LEDs to indicate battery power, chute direction, and speed. This, combined with simple, well-marked controls that are right in front of you makes operating the Snow Jos ION8024-XR easy to operate. It also comes with 3 LED headlamps that make operating this machine in low light or nighttime conditions much easier. This means you can easily work early in the morning, late into the night, or at anytime during short winter days. With the 4-speed driving system, the Snow Joe ION8024-XR allows you to cut through the snow in even the toughest conditions. When the snow isn’t as thick, you can use less power to conserve energy to extend your working time. The 4-speed system is combined with a heavy-duty serrated steel auger that churns 1000 pounds per minute with little effort. The auger housing is built to clear a path of snow up to 24” wide and 13” deep. This is easily enough for most of you who are looking to clear snow from your paths and driveways at multiple depths. 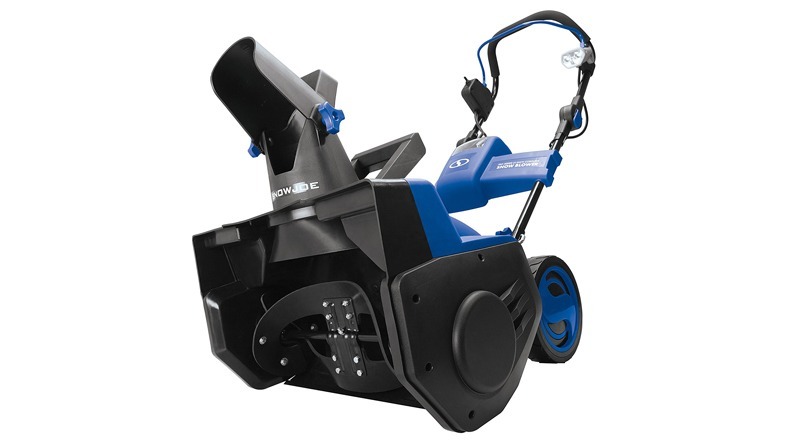 Additionally, the Snow Joe ION8024-XR consists of a ground scraper that allows you to clear snow all the way to the ground while still maintaining the ability to maneuver over obstacles. The impeller blasts snow out of the 180-degree chute that’s easily rotated from your control panel at an impressive 32 feet, making it easy to get the snow far away from the work area in any direction. This snow blower is self-propelled, making it easy to move through the snow. Being electric, this snow blower is much quieter than its gas-powered counterparts. This is a two-stage snow blower, which means the auger will crush up the snow before sending it to be thrown out of the chute, which makes for more efficient removal of especially tough snow. The batteries last about 30 minutes on a full charge, but if you need more than 30 minutes worth of working time, you can easily switch out the batteries. 30 minutes worth of working time, you can easily switch out the batteries. The throwing distance is plenty, and the fact that you can rotate the chute 180-degrees makes for flexible placement of that snow. The batteries take a few hours to charge, so you need to plan your work with this snow blower in advance. While 30 minutes of battery life is good for those with short or normal length driveways, it may be an inconvenience for users who need to cover a larger surface area. The buttons on the control panel are well laid out, but are more difficult to press than they should be. The gear plate attached to the chute allows for too much play. This, in some cases, allows for too much binding after a few passes. 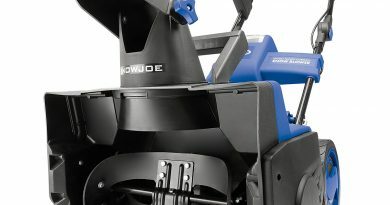 The Snow Joe ION8024-XR is one of the most advanced electric snow blowers on the market. Having a two-stage snow blower powered by rechargeable batteries is a big advantage to users who are looking for something that can clear off their sidewalks and driveways quickly and efficiently with little effort.